The Jigsaw Glider has innovative, interlocking sliding covers that hide four total treat chambers. Dogs must firs slide away the two outer covers to reveal 1 treat chamber on each side. 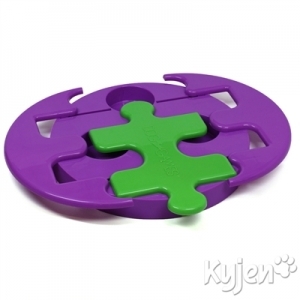 The center puzzle panel is then free to slide back and forth, revealing two more hidden chambers!